Late last year I lurked again on various forums talking about mechanical keyboards and discovered that a lot had changed (in a good way) since I purchased my daily drivers around 8 years ago. Moreover the nice part of a hobby is to learn new things so why not design and build my own from scratch? Do my own case design (I have no experience in CAD software and CNC manufacturing). Most of the enthusiast keyboards out there have small layouts. One benefit is that it removes arm strain during prolonged typing and mouse usage. As a software programmer one caveat to me is the lack of some keys: function keys are used a lot in professional tools and even on my TKL the lack of a keypad impacts my productivity. Still want something a bit more compact though as my arms are beginning to hurt a bit at the end of the day. I have to say that I’m a conservative old fart ( you made my day when you called me “Uncle Rico” @pixelpusher ), breaking typing habits are getting difficult so learning new layouts being compact or worse ortholinear are out of the question: I want to use it at work and be productive very fast using it. One accepted change is that, due to the lack of nice ISO/AZERTY keycaps, I will switch to US/ANSI layout. Much closer to a standard ANSI/ISO layout than a 1800 layout. Still significantly shorter than a full size keyboard. 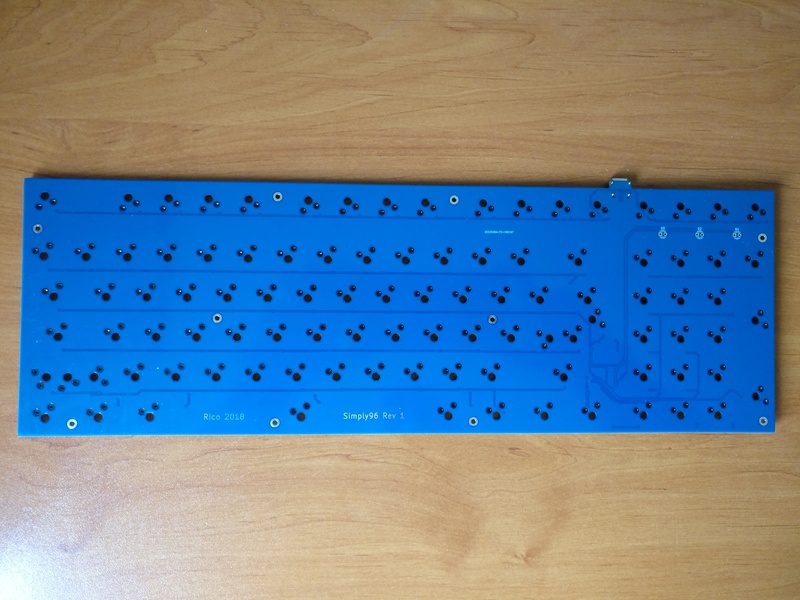 So development of the Simply96 keyboard started. 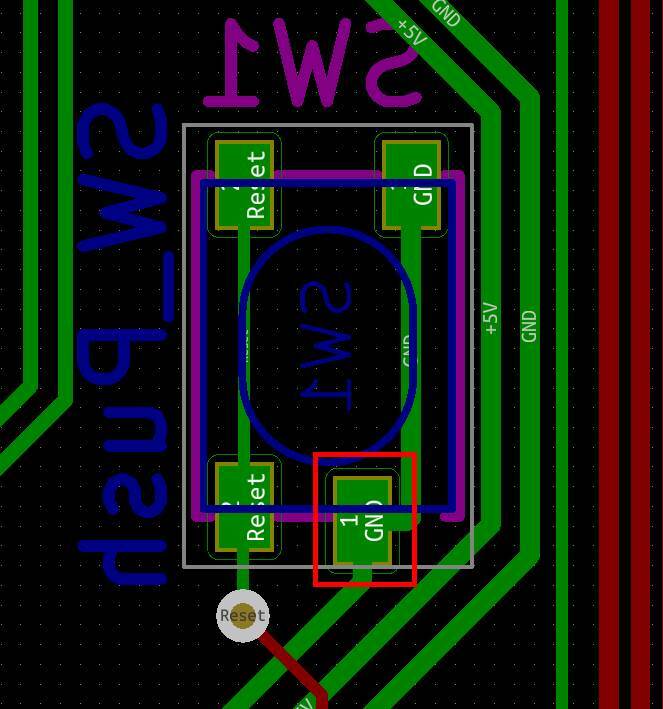 PCB and case designs are set and will probably not change unless I find a critical flaw that forces me to do that. QMK compatible: my daily job is programming stuff, don’t want to do that much during the weekend. Hot swappable using Kailh sockets. ANSI and ISO compatible(yes it’s possible with some constraints), only using ultra standard key sizes (6.25u spacebar only and so on). Makes the design more complicated. Don’t see the use ( a keyboard is not a Christmas tree ). Still could be added on later revisions. No RGB underglow for the same reasons. Because I’m learning Fusion 360. Still it is an integrated plate design, ANSI only (for ISO I will need to make changes to the case design). I failed 3 boards and the fourth one went right. This one is a BIG unknown as I’ve never done that before. It seems that this activity is very demanding and stressfull. I have a life, a wife and kids. But if this works(for the moment it does not as I don’t have it on my desk), I may think of open source it. For the interested people I will try to give regular updates on the project. Interested to see the case. I’ve never used this layout, but I’ve always thought it had a lot of potential. I can imagine people who need a tenkey also probably use the arrow keys a lot, too. I think i would program the right menu or control to be a function key to allow access to the arrow cluster (one-handed) without turning off the NumLock. I appreciate the lack of RGB and in-switch leds. Keep it simple. I have so many boards with leds that I don’t even turn on. Ha. Only downsides for me are lack of backlighting (I’m still not the best at touch typing, and sometimes video games make me have to look at my board), and the integrated plate. But at the end of the day those are just personal preferences for me, I think I’d still like the board regardless. Yes, I was thinking of activating the numpad with either the numlock key or a special layer that would disable the arrows and activate the numpad by maintaining ALT or CTRL pressed (numpad keys would be deactivated if this layer key is not pressed). The QMK firmware I have for the moment is very basic, just to validate that the combination of software and hardware works. Even a simple one with uniform color could be useful in this case. I simply tried not to make my PCB design too difficult or risky for a first try. Maybe a future revision with leds if I succeed ? And yeah my issues with an integrated plate is exactly that, lack of layout options and the stiffness, and also plate material options as well. Having hotswap pretty much limit the layout options already. I’m giving an update to the project. 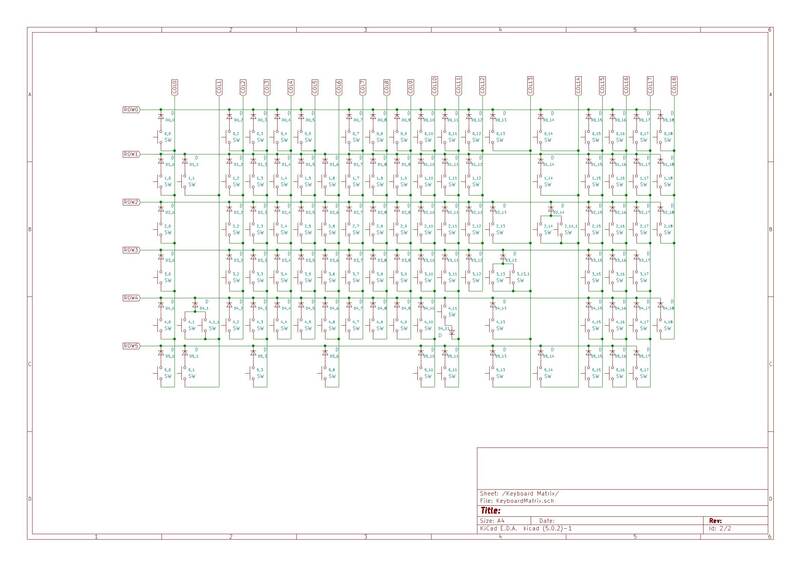 I started designing the PCB based on the selected layout late 2018. The tool used for that task is Kicad, a great piece of software that is free an open source. 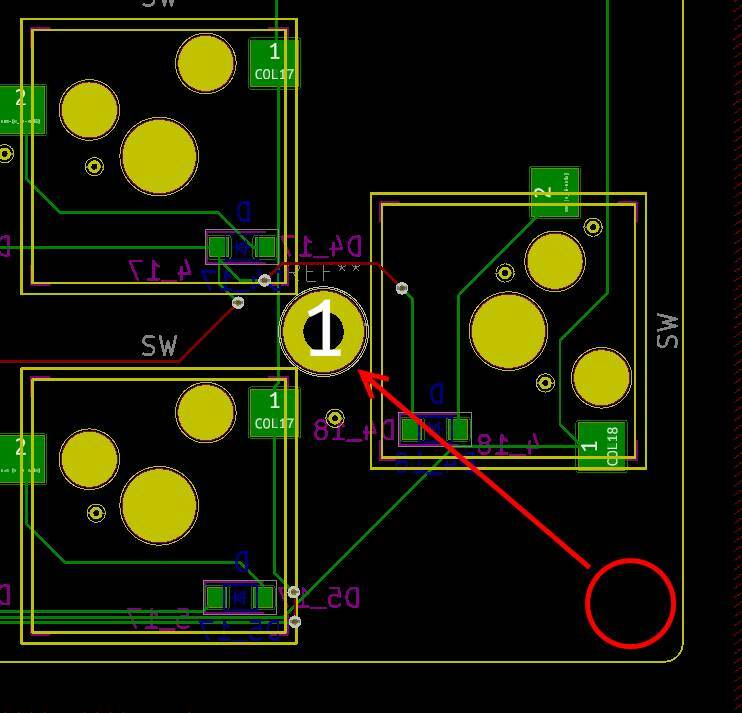 I my previous projects (non keyboard related) I used Kicad V4.x because of it’s recent addition (at that time) of tracks push and shove feature. an Atmel AT90USB1286 CPU (supported by QMK) because I needed quite a high number of pins for the switch matrix. 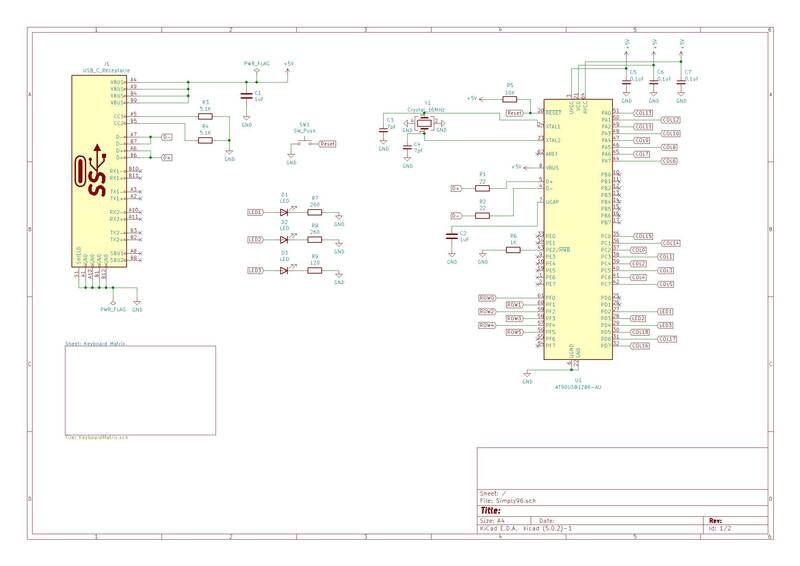 The PCB design has been more difficult to me, not because of the number of components but because key switches footprints have to be placed very precisely. Not wanting to make programming/scripting stuff at home I stupidly did that task all by hand using a calculator, it took ages to do and to double/triple check that every key was at the right place. Next time I’ll write a Python script to do this task, based on raw data of KLE tool. 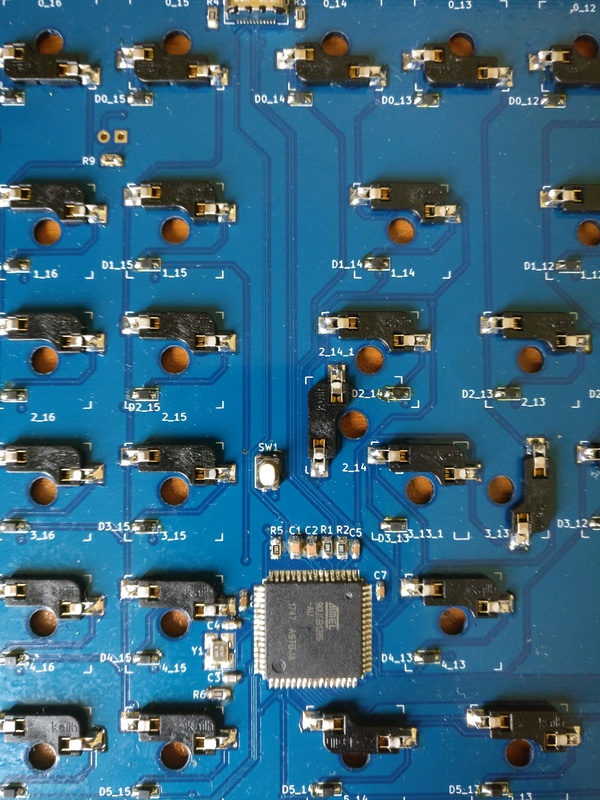 I did a few mistakes that I discovered only after having PCBs manufactured. Already moved it at another place but it is too late for PCB revision 1. The reset switch is working fine, but only soldered on 3 legs instead of four. 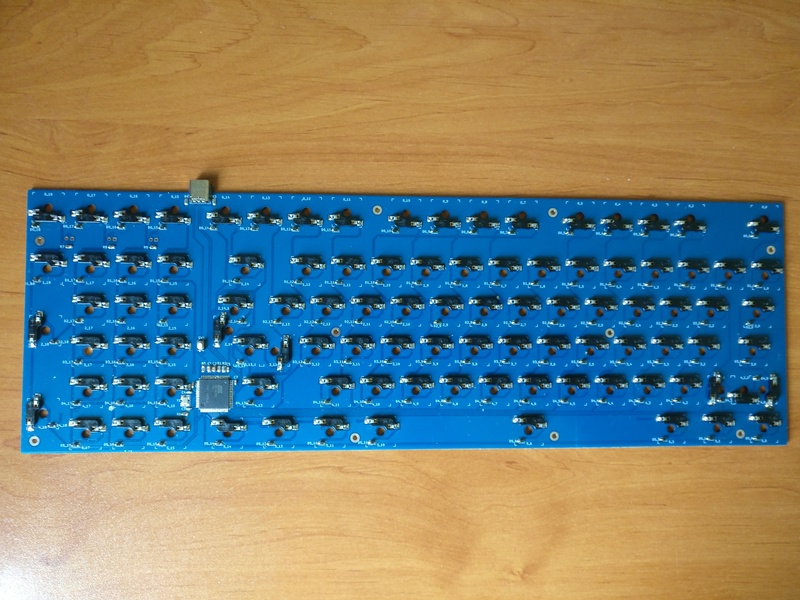 I’ll have to do with a missing PCB mounting hole, there are still plenty remaining. Here are taken pics of the soldered PCB with status leds still missing. This one is working fine on my PC with an early QMK firmware flashed into it. 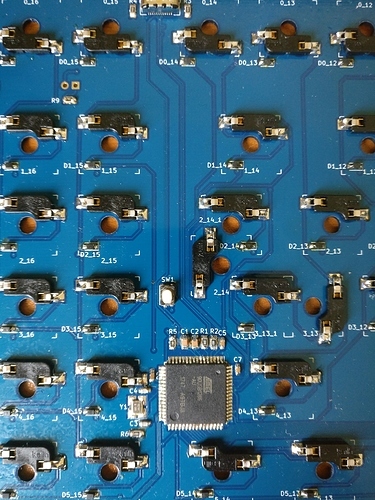 USB C connector has been soldered using a cheap Chinese hot air station, the remaining components have been soldered by hand. By looking at the pics you may have seen that the PCB is both ISO and ANSI compatible. To be able to do that I removed as much holes on the PCB as possible, most notably Cherry stabilizers mounting holes. So the remaining stabilizers options are only plate mounted, not a big problem because I decided to used Costar stabilizers. Cherry plate mounted stabilizers should work fine also. See you later with, I hope, good news for the case manufacturing (still being manufactured)! Hi…I can imagine people who need a tenkey also probably use the arrow keys a lot, too. I think i would program the right menu or control to be a function key to allow access to the arrow cluster without turning off the NumLock. Yes people who use tenkeys often make heavy use of arrows. As a programmer I use the arrow keys constantly and often with a combination of other keys so these must be active by default for me. The numpad is also very useful for my job but used less frequently so I plan to make them available only by pressing a function key(I selected LALT as of now). When the function key is not pressed the keyboard act as a tenkeyless and other numpad keys are disabled. When the function key is pressed the tenkeyless keys are disabled and the numpad keys are activated.